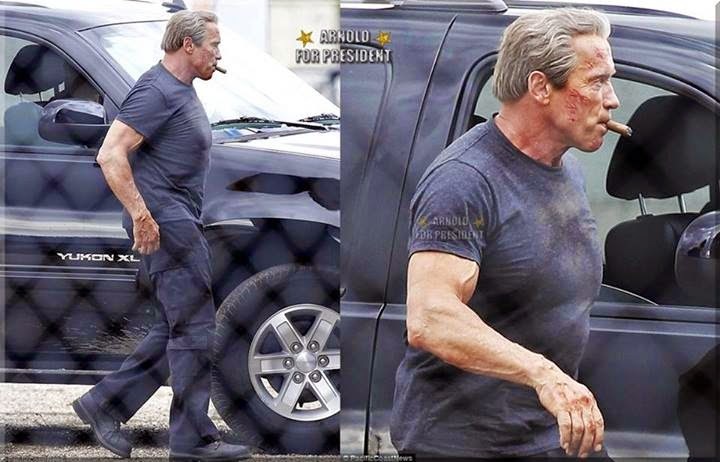 Kryptonian Warrior: Terminator Genesis - On Set Photos! 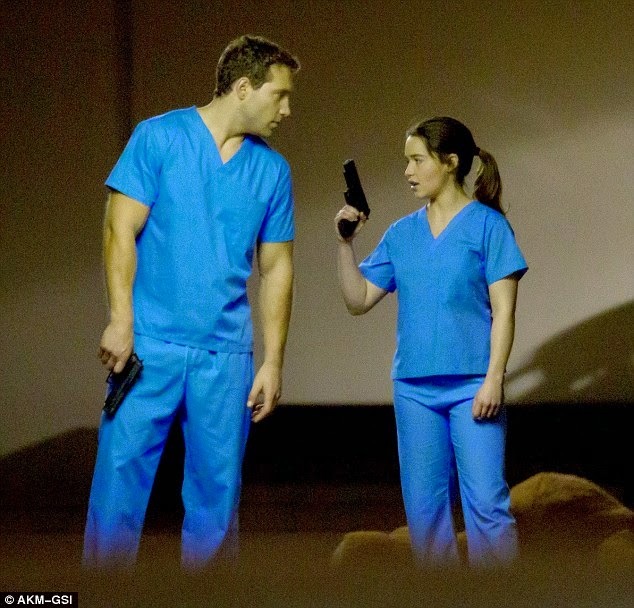 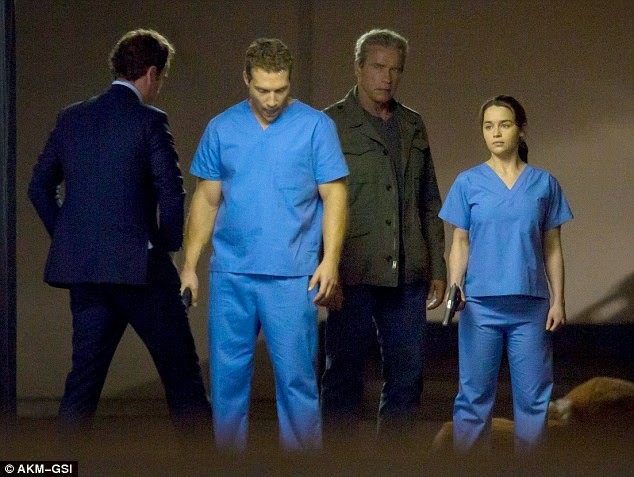 Below are some leaked on-set photos of Arnold Schwarzenegger (an older Terminator), Emilia Clarke (Sarah Connor), and Jai Courtney (Kyle Reese). 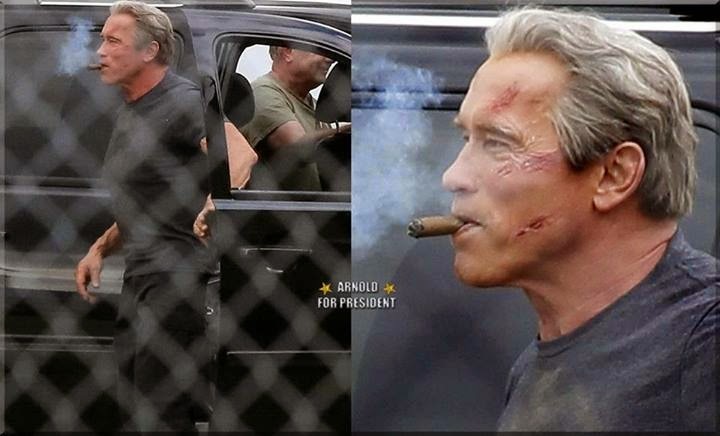 So far there aren't a lot of new details abut this new Terminator film (other than what I've psted about before like Matt Smith, Myles Dyson's son etc) but it's recently been stated that the storyline interjects with the original 1984 Terminator movie with both younger and older versions of the T-800 cyborg and interesting time-travel based twists throughout.